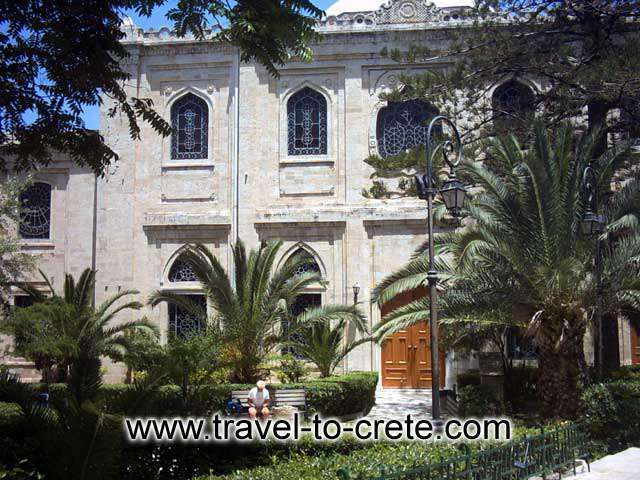 One of the oldest and most important monuments of the Christianity on Crete is the Basilika of Agios Titos, situated near a nice small park just a five minutes by feet from Morosini's fountain . 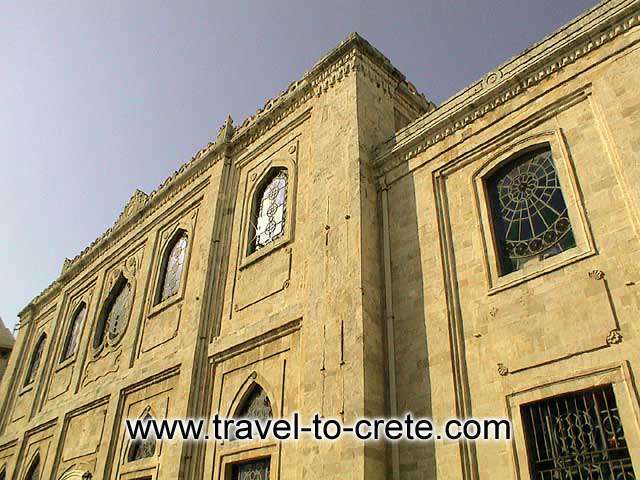 From architectonic regard, this church is far more interesting than the main Heraklion archbishop church of Agios Minas. Saint Titos church was built at first by the Byzantines around 962 A.D. 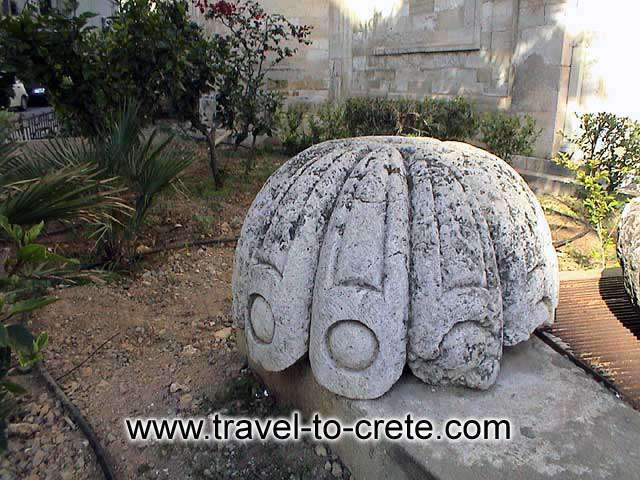 The Turks converted the original building into a mosque upon the capture of the island. 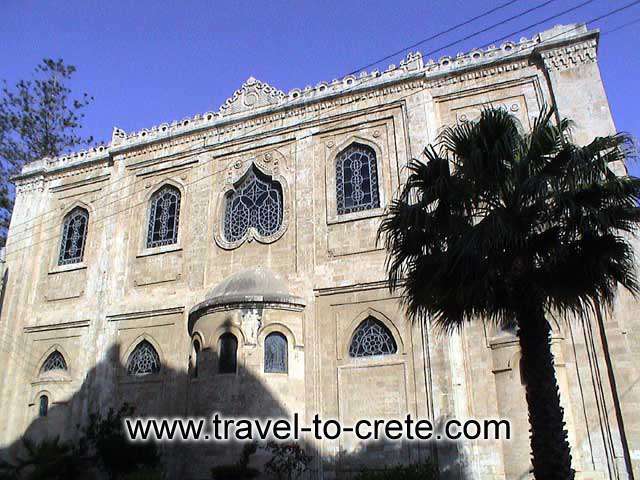 The first building was destroyed by an earthquake in 1856 and was rebuild by the Turkish forces as a mosque and later after the liberation the Cretans converted it into a church in 1923. Inside you can see golden skull of St Titos the relic of this church since its return from Venice in 1966. The Venetians had taken the skull with them when the city fell to Turks in 1669. 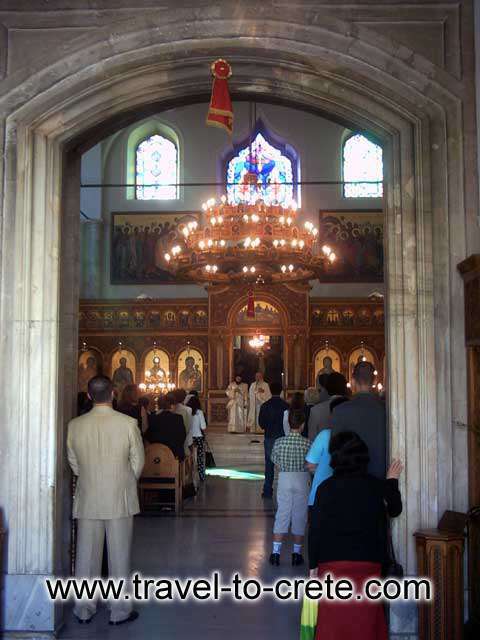 Rich decorations and icons are breathtaking. Don't forget to wear long trousers or skirt and wear something that cover your arms. In other case you will not be able to enter the Church. 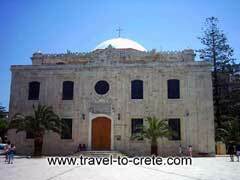 At the edge of the paved street in front of Agios Titos, is the legendary public library Vikelea. This was the personal library of the Greek poet and Nobel winner Georgios Seferis. Here are also today still important archives, a priceless source of information, regarding history.